Police said they spoke to the association of Katipunan bar owners, but there's no such group. On the night of September 13, several police officers were spotted along Katipunan Avenue in Quezon City. They reportedly went inside establishments in the area and randomly checked the bags of people there. Some concerned citizens, mostly parents and college-aged students from schools in the area (Ateneo de Manila University, Miriam College, and University of the Philippines Diliman), were alarmed by what happened. But Quezon City Police Department (QCPD) Station 9 dismissed this as "perfectly legal." In a Rappler report, QCPD Chief Superintendent Guillermo Eleazar was quoted as saying, "Sa totoo lang, request ito ng mga barangay officials kasi doon may mga establishments [na] may possible illegal activities na ginagawa... During the barangay ugnayan, it was agreed upon that the police will conduct Oplan Bakal (To tell you the truth, this was a request from the barangay officials themselves because they thought that there were possible illegal activities being done inside these establishments. During our dialogue with the barangay, it was agreed upon that the police would conduct Oplan Bakal)." In the same report, Eleazar also claimed that "the establishments consented to the recent operations through the association of bar owners along Katipunan." Eleazar's claim, though, is being disputed by several establishment owners. In fact, Tortuga even posted a statement on its Facebook page, saying, "Tortuga would like to clarify that there is no association of bar owners in Katipunan (but we are all friends), and there was no coordination between surrounding establishments and the QCPD to search students and customers of Tortuga." So, what gives? 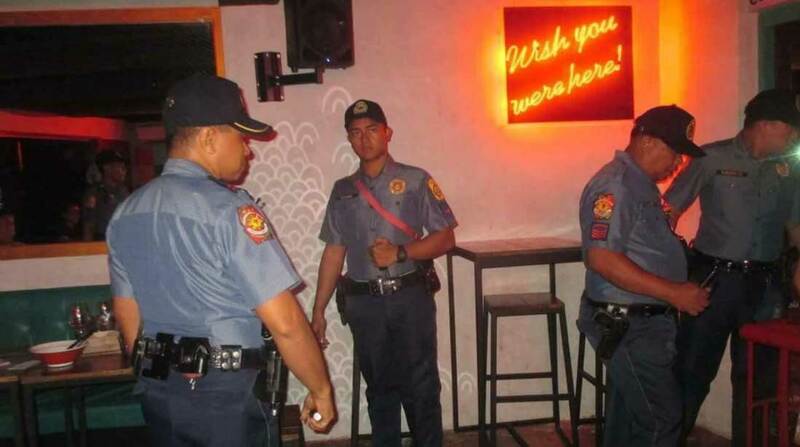 Why did the QCPD claim that they spoke to the "association of bar owners along Katipunan"? How can anyone speak to an association that does not exist? Perhaps a probe should be done to find out which association the QCPD spoke to. It could be a case of miscommunication or, perhaps, there are people who are pretending to be members of this "ghost" association.